Romania, this lesser known Eastern European destination, had a tumultuous and fascinating history in the Middle Ages. Being at the intersection between Eastern empires and Western powers, there were many twists and turns, invasions and military campaigns taking place in our country. The Carpathian Mountains form an arc that offers natural protection for the famous region of Transylvania, considered the last bastion of defence against the Ottoman (Turkish) Empire’s expansion from South-Eastern Europe. Many citadels were built in this area to protect the population against foreign invaders and settlements were fortified with defence walls and towers. Important trade routes were established between them and Saxon (German) settlers colonised the area during the 15th century bringing a new level of craftsmanship and engineering skills. This explains why many of these settlements have withstood the test of time and are now famous historical attractions. There are 4 cities in Transylvania with a very well preserved medieval feeling that you should visit on a tour in Romania. With street planning designed for defence and fortified walls, bastions and towers for extra protection, there is much to learn here about our country’s history. You will be walking on cobbled streets filled with colourful houses before emerging into large open squares. Get ready for a trip back in time! 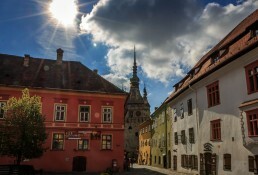 Romania’s best preserved historic gem, Sighisoara undoubtedly deserves the first spot. It is one of the few citadel-cities still inhabited in Europe and its streets are a genuine monument that preserve the history of our country from medieval times. This is why it has been included in the UNESCO heritage list. Getting lost on its cobbled streets will surely make you feel like you’re in different times. You will admire buildings with a unique architecture and wonder how they lasted for so long. A particular attraction is the 64 metre-high Clock-Tower built in the 14th century to defend the main gate of the citadel but the colourful merchant houses will capture your eyes too! 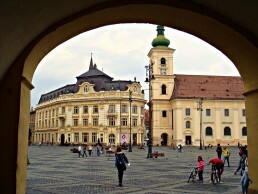 Sibiu is one of the most picturesque cities in Romania which enjoyed a prosperous and relatively unscathed history. With heavy German influences, the city has always been a cultural cradle in Transylvania and nowadays it is booming with events and lively crowds. Sibiu is 800 years old and used to be a military fortress with an important role in the history of our country, located strategically at a crossing point across the Carpathians into Wallachia. The city has plenty of legends and stories. Each townhouse belonged to various merchant guilds and businessmen that continuously upgraded and transformed them into the imposing constructions that you can admire today. On your visit you shouldn’t miss attractions such as The Council Tower, Evangelical Church, Bridge of Lies, Brukenthal Palace, Stairs Passage and, of course, the walls of Sibiu citadel. But don’t be afraid to start wondering on your own and discover less crowded streets – you’ll be surprised of the many hidden gems and spots Sibiu offers! Besides the usual sightseeing, there are many festivals and events taking place all year long. Gastronomy, jazz, medieval or theatre – there’s something for everyone! 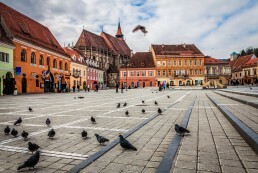 And in 2019 the entire region of Sibiu has been declared European Gastronomic Capital to celebrate traditional Transylvanian cuisine, a combination between Romanian and German dishes. Nestled between mountains, Brasov is probably the most famous city in Romania after the capital Bucharest. Starting from the 13th century the city quickly became an important trading centre for routes leading into the Balkans and further East into Asia. Many merchants and craftsmen lived here and the rich, imposing townhouses in the Old Town area are evidence of that. The best way to discover them is, of course, by getting lost on any narrow street – including Rope Street, said to be Europe’s narrowest! The city has a very strong medieval air to it. An important attraction in Brasov is the massive Black Church, probably the most famous gothic monument in Romania dating back from late 14th century. There are plenty of medieval sights to visit here: towers, bastions and defensive gates, all part of Brasov’s elaborate defences. There are many other things to do in Brasov: the famous Bran Castle aka Dracula’s home is Romania’s #1 tourist attraction, so it needs no further introduction. Rasnov Citadel perched up on a hill and overlooking the plains of Transylvania should not be missed either. Nature lovers can explore Piatra Craiului Natural Park or go on a bear watching tour! Bistrita – Romania’s medieval hidden gem! Bistrita is one of the oldest cities in the region of Transylvania and – unfairly – less known for its medieval history and sights. First documented in the 12th century, the city of Bistrita used to be a well-developed commercial hub due to its close proximity to many natural resources. In its prime time in history, Bistrita had a complex set of fortifications formed of 2 circular walls protecting the city, 18 defence towers and a military bastion –more than any of the other medieval cities in this list! While not much of these fortifications have survived, medieval sights such as Turnul Dogarilor and the Evanghelical Church should not be missed. 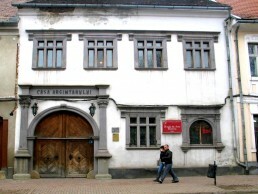 And walking the city’s streets will reveal beautiful houses with unique architectural elements and decorations such as Peterman House, Ion Zidaru House or Silvermen’s House, all built during the 15 or 16th century. Marius Iliescu is the founder of Romanian Friend – a local initiative promoting handpicked tours with the best local guides so travellers can discover the authentic beauty of Romania while supporting responsible tourism. Plan your trip with help from a Romanian Friend and follow us on Facebook or Instagram to see what you can visit!